BD-10AH 7.5 1.15Â 1.02Â / directÂ drive 2.5 Â¾" 58Â±2 1300 800 1300 500 Â¾"
BD-15AH 11 1.55Â 1.32Â 1.02Â directÂ drive 3.5 Â¾" 58Â±2 1300 800 1300 540 Â¾"
BD-20AH 15 2.40Â 2.12Â 1.61Â directÂ drive 5 1" 63Â±2 1600 950 1400 650 1"
BD-25AH 18.5 3.10Â 2.62Â 2.13Â directÂ drive 6 1" 65Â±2 1600 950 1400 840 1"
BD-30AH 22 3.50Â 3.13Â 2.61Â directÂ drive 7 1" 65Â±2 1600 950 1400 870 1"
BD-40AH 30 5.00Â 4.20Â 3.81Â directÂ drive 10 1Â¼" 66Â±2 1950 1050 1432 980 1Â½"
BD-50AH 37 6.10Â 5.22Â 4.81Â directÂ drive 12 1Â¼" 67Â±2 1950 1050 1432 1000 1Â½"
BD-60AH 45 7.30Â 6.13Â 5.65Â directÂ drive 15 1Â½" 68Â±2 2150 1300 1570 1060 2"
BD-75AH 55 9.60Â 8.60Â 7.42Â directÂ drive 18 1Â½" 70Â±2 2150 1300 1570 1250 2"
BD-100AH 75 12.50Â 11.42Â 9.83Â directÂ drive 24 1Â½" 73Â±2 2150 1300 1570 1480 2"
BD-125AH 90 16.30Â 14.52Â 12.30Â directÂ drive 30 2" 73Â±2 2500 1500 1700 2030 2Â½"
BD-150AH 110 19.40Â 16.90Â 15.10Â directÂ drive 36 2" 78Â±2 2500 1500 1700 2450 2Â½"
BD-175AH 132 22.21Â 20.38Â 18.29Â directÂ drive 45 2" 78Â±2 2650 1600 1800 2850 2Â½"
BD-200AH 160 28.85Â 24.52Â 22.17Â directÂ drive 53 2Â½" 78Â±2 3300 2200 2000 3750 3"
BD-275AH 200 36.63Â 32.70Â 27.72Â directÂ drive 65 3" 78Â±2 3300 2200 2000 4100 4"
BD-350AH 250 42.88Â 39.00Â 34.64Â directÂ drive 80 3" 78Â±2 3300 2200 2000 4750 4"
We can offer 16 months guarranty for the whole compressor system (except for the consumable parts such as filters and separator element and lubricating oil). 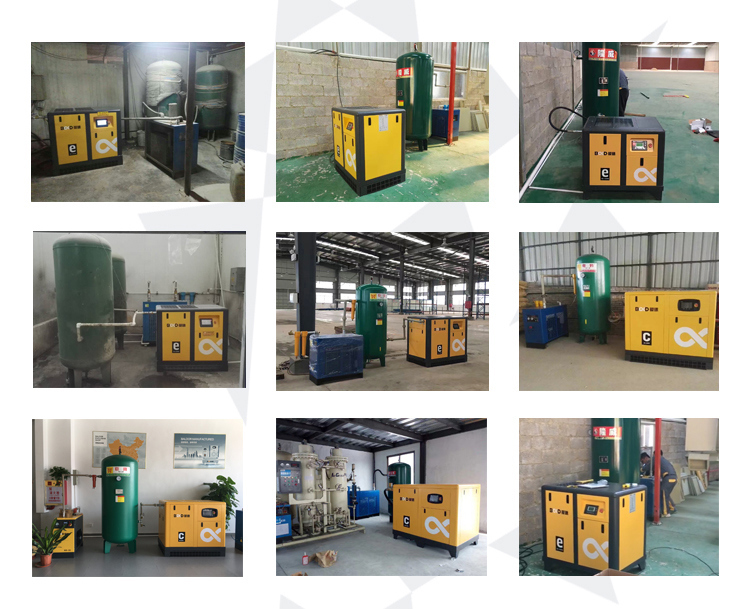 If any failure of the compressor without any incorrect operation and maintenance, Baldor company would offer free and new spare parts(except for the consumable parts such as filters and separator element and lubricating oil ) to do replacement for customers. 2. Do you do OEM for customers? Yes, OEM is available for customers. Any color in the Panton Code Â and any logo with drawingÂ is available. 3. Can you provide product knowledge training? For standard Baldor products, the delivery time would be within 3 working days after deposit received in account. 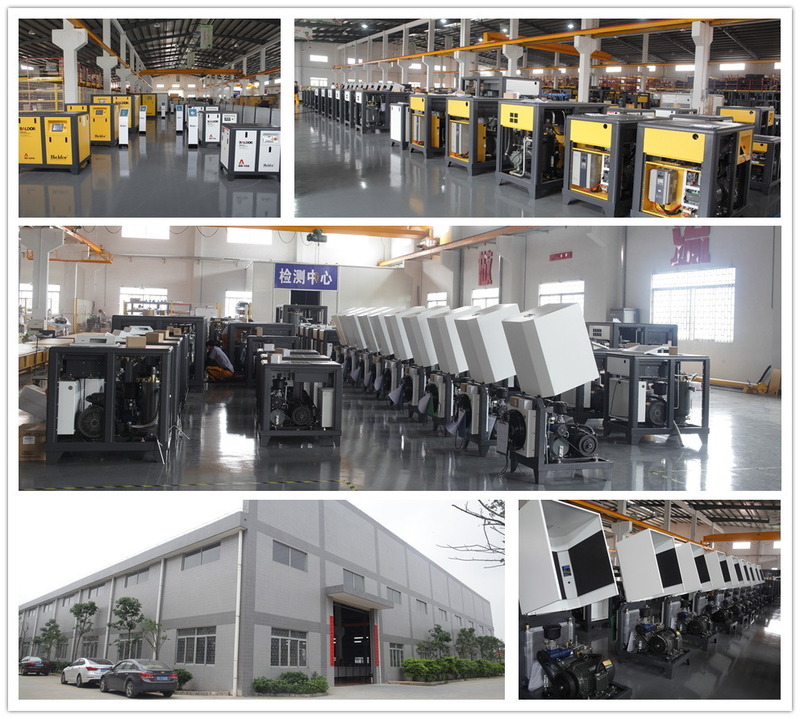 If OEM customized order, the delivery time would be within 15 working days after payment received in account. 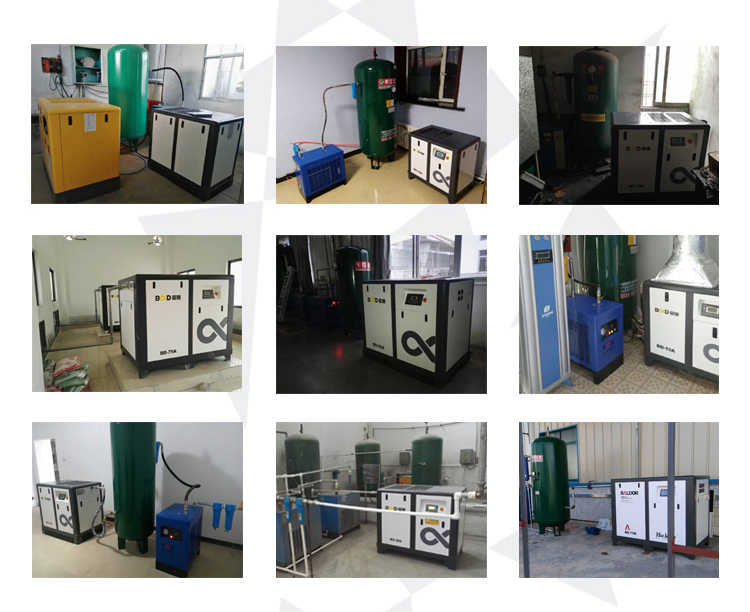 Below is BâˆD compressors in users' factories.